The whole belt south of Lomas Santa Fe between Cedros and Rios contained avocado trees. The groves from Cedros backed up to groves from Rios. There were no avocados on the west side of Cedros because it was too low and subject to flooding. Jay and Lenna Wilson’s house, located here, also had avocados. 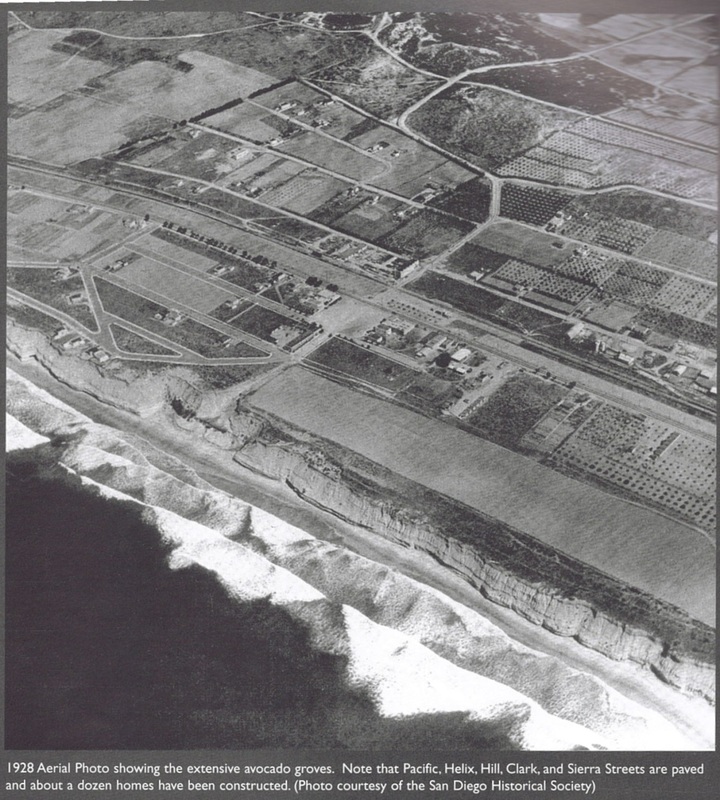 Across the street was located a large plant and warehouse for the Wilsons’ concrete company, J. M. Wilson Co., which cast many of the sidewalks in Solana Beach. You can still find sidewalk sections with the “J. M. Wilson” imprint. Mr. George Wood eventually took over the westside building and used it for his wholesale fertilizer business.